The Executive Leather Wrapped Pen sets includes a genuine leather barrel ballpoint pen and a genuine leather barrel rollerball pen, a matching faux leather case and state-of-the-art laser-engraved logo. Engraved ballpoint and rollerball pens from china metal manufacturer. 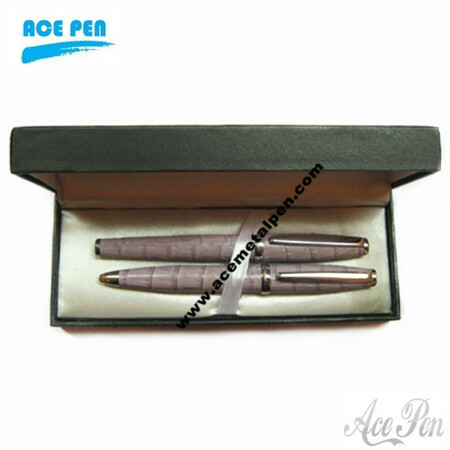 Leather wrapped ballpoint and roller ball Pen sets features leather wrapped upper and lower barrel, cap-off design for the roller ball pen while twist mechanism for the ballpoint pen, and a variety of colors. Can be laser engraved with your logo on the clip.